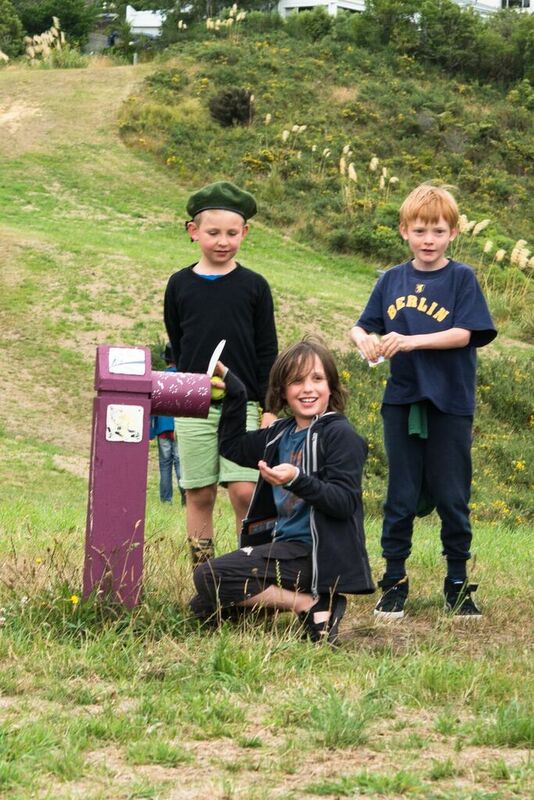 Mysterious objects including a miniature communications hut and an interactive aqueduct zigzagging across Wellington’s Mt Cook hillside are luring young Wellingtonians to explore and engage with their local nature in creative ways. The artworks stem from the imaginings of Kemi Niko & Co as part of their Artist in Resident project ‘Extend Yourself’ and coincide with our Imagine My City 100 Day Creative Challenge. 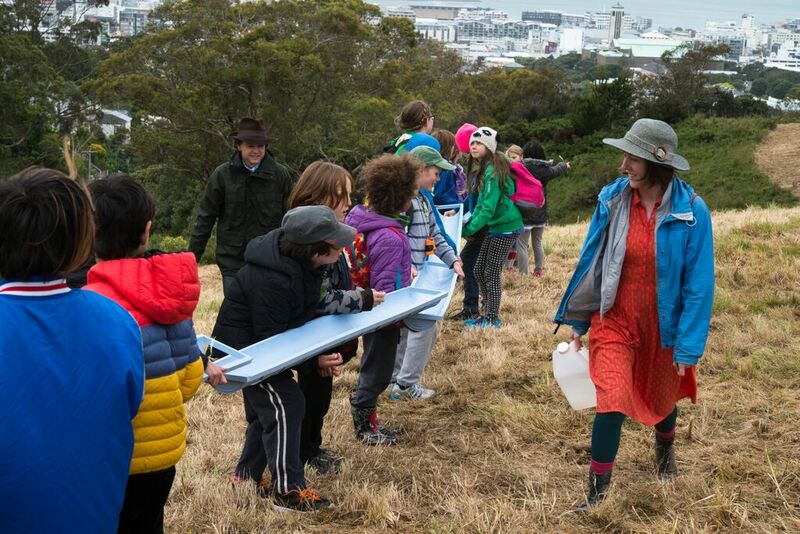 Created by Nature Through Arts Collective in partnership with the New Zealand National Commission for UNESCO, Imagine My City aims to ignite young people’s imaginations, visions and dreams for nature-rich neighbourhoods and cities. It forms part of a wider programme which focuses on the development of a youth-led initiative enabling a range of young people to have an active voice and become innovative and critical thinkers in sustainable development. Artists, actors and nature scientists are vital to Imagine My City which forges closer connections between the arts and sciences. They are often seen as two separate strands but they are both essential for working through complex issues. 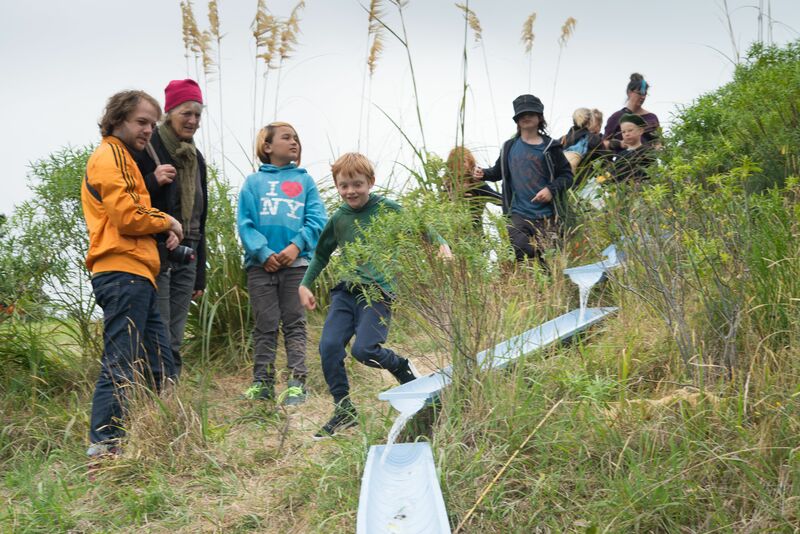 Kemi and Niko’s playful installations are just brilliant because they are all about magic and imagination – sparking ideas and provoking community conversations and connections around nature. And that’s exactly what we hope will happen during the Challenge. 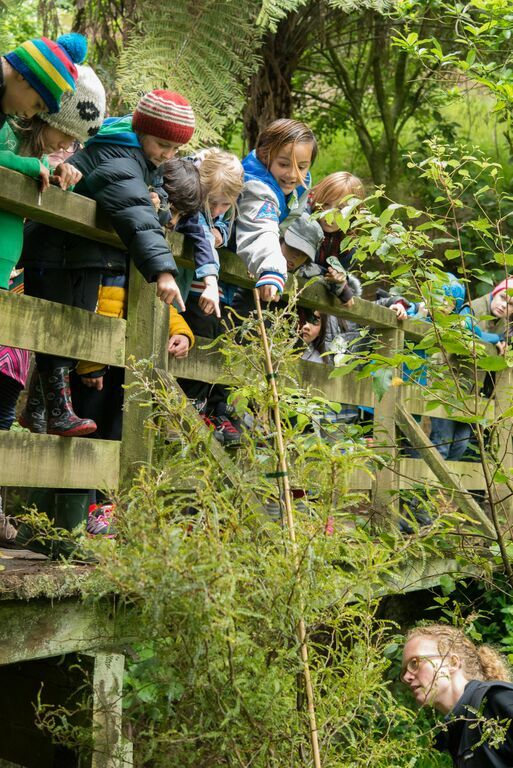 It’s about supporting enabling our young citizens to let their own imaginations run wild to create and share their visions and dreams for a city filled with nature. Check out how the 100 Day Challenge works and share your DREAM. 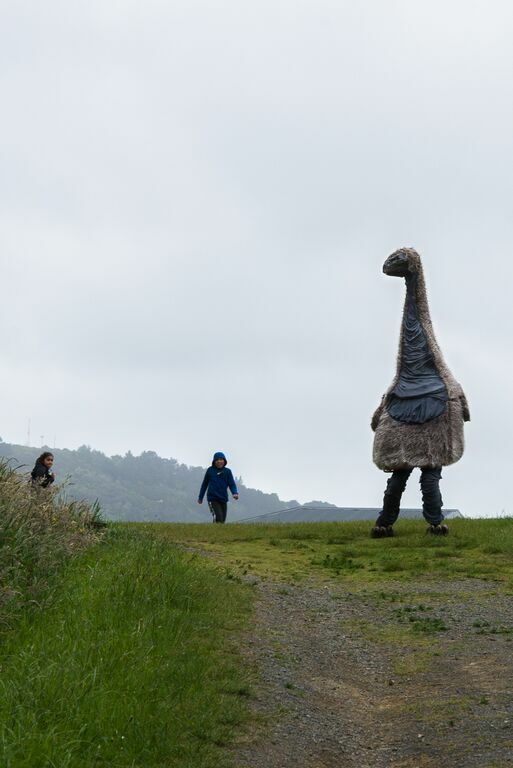 You can paint it, film it, sing it, carve it perform it, write it, build it – however you want to envisage Wellington as the world’s wildest capital city. 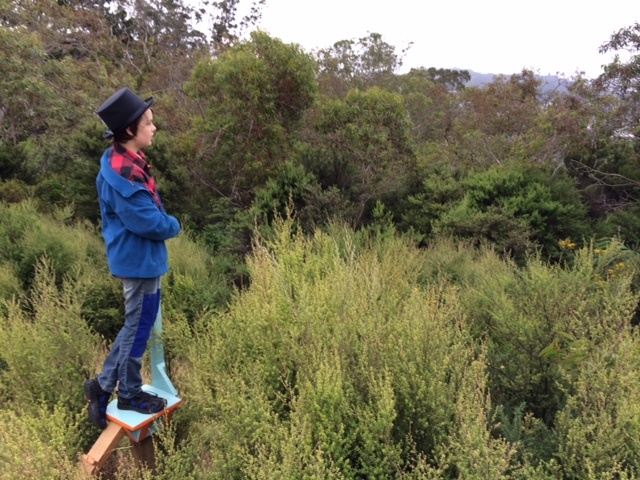 There are lots of cool creations already like this ‘Moa’ Hunt mini series created by youth ambassador Cassidy Abbot. 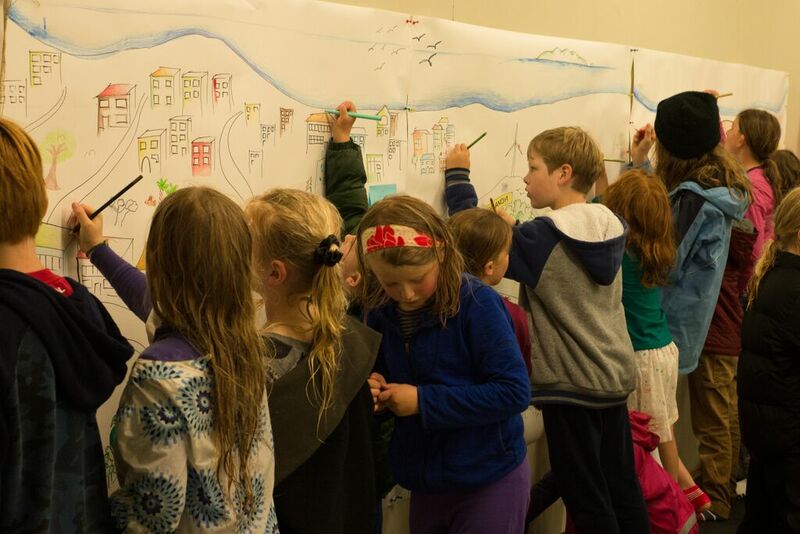 Then come and visit our Imagine My City exhibition, March 17-23 at Arts Space, 17 Tory Street, Wellington CBD which features your work! Plus artists’ talks, documentary footage of the challenge, community conversations and any thoughts or doodles you want to add. 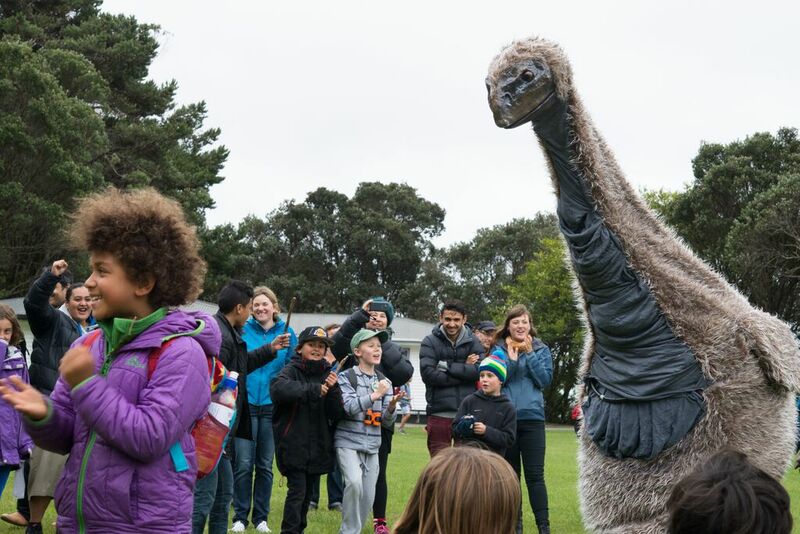 Imagine My City 100 Day Challenge launched in November 2015 with the “rediscovery” of a rogue moa running round the Mt Cook town belt! 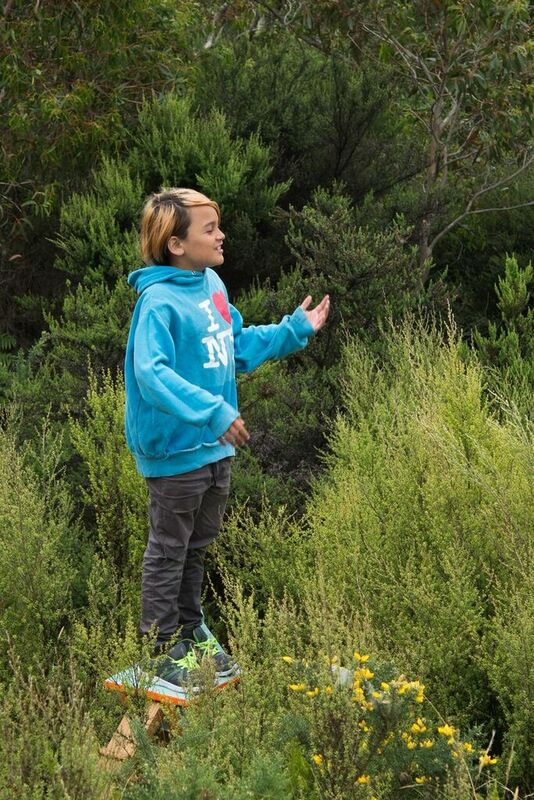 Film-maker Mike Potton captured the action in his short video. 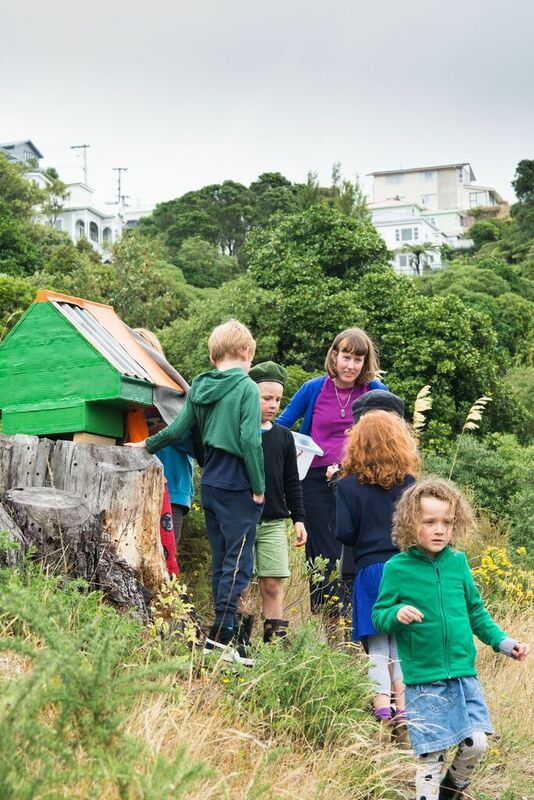 Wellington actors, artists and nature experts collaborated to blend skills and thinking to enable kids, their families and whanau to explore and envision their neighbourhood in fresh and unique ways. At the centre of it all were the young participants who directed the outcome of the drama. 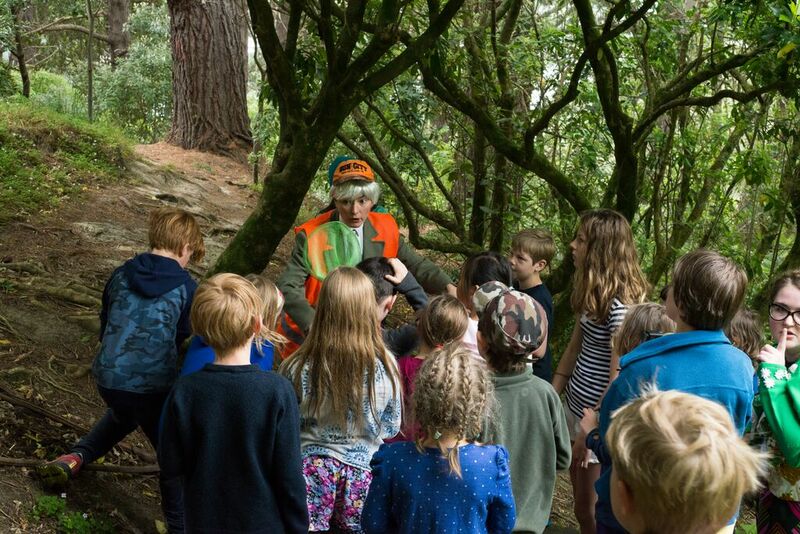 What began as a seemingly ordinary nature trip for over 40 young Wellingtonians and their families turned into an extraordinary Alice-in-Wonderland style adventure through the town belt and a race against ‘Arthur’ the adversary to rescue the ancient moa from barbecue or sale to overseas trophy hunters! 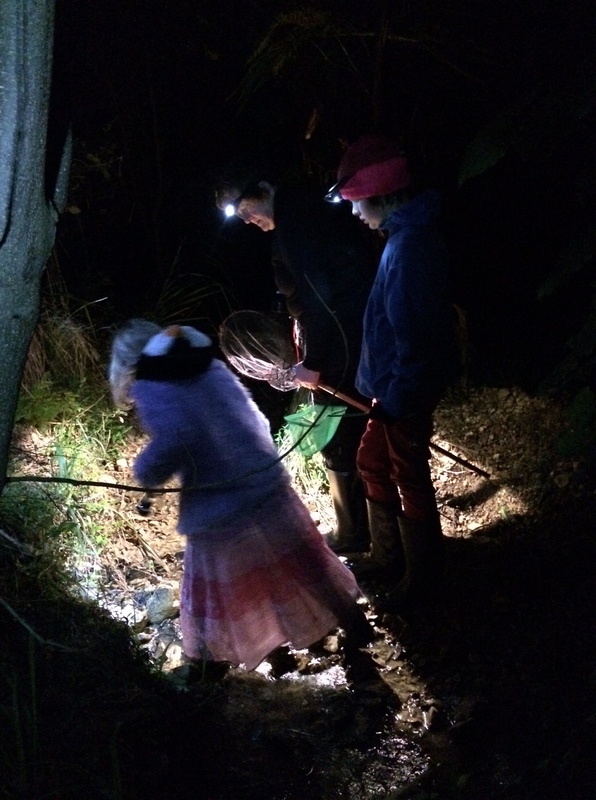 Mysterious characters, geckos, weta, miniature huts and water artworks and even a granddaddy kokopu freshwater fish in a ditch drain were all part of real and surreal encounters– blending drama, puppetry, art, science and nature – to envision a city neighbourhood rich in nature. 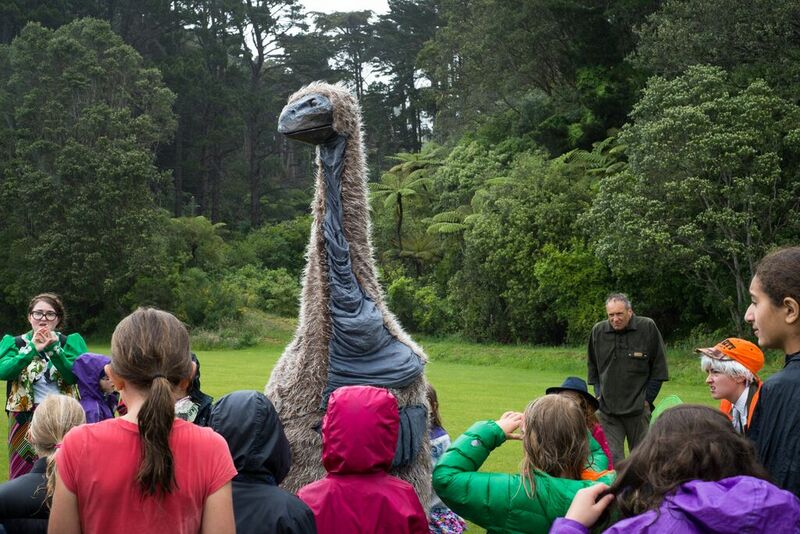 Wonderful to have the Wellington Mayor at the launch and a big thanks to our partners and supporters who made it happen: NZ national commission for UNESCO, Mt Cook Mobilised, Te Atiawa/Taranaki Whanui, Binge Culture, Kemi Niko & Co, Wellington City Council, Wellington Zoo, Department of Conservation and other special characters in Mt Cook! 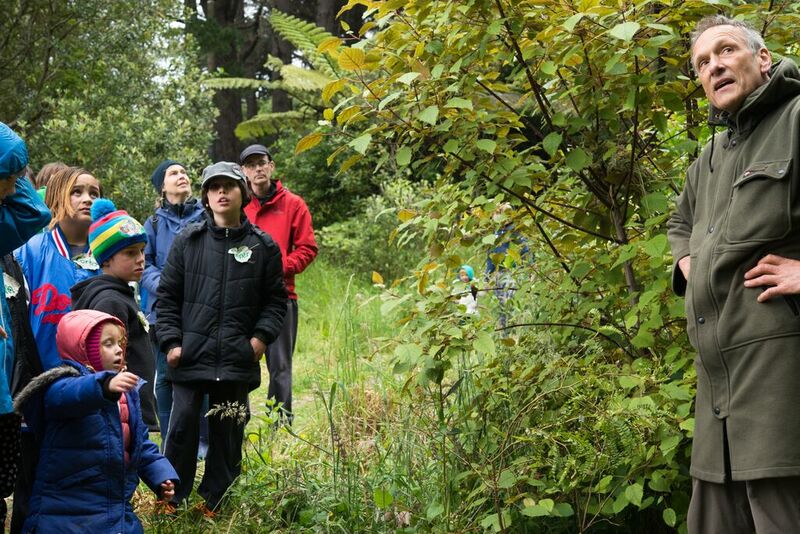 photos by our awesome Mt Cook photographer Mary Hutchinson. 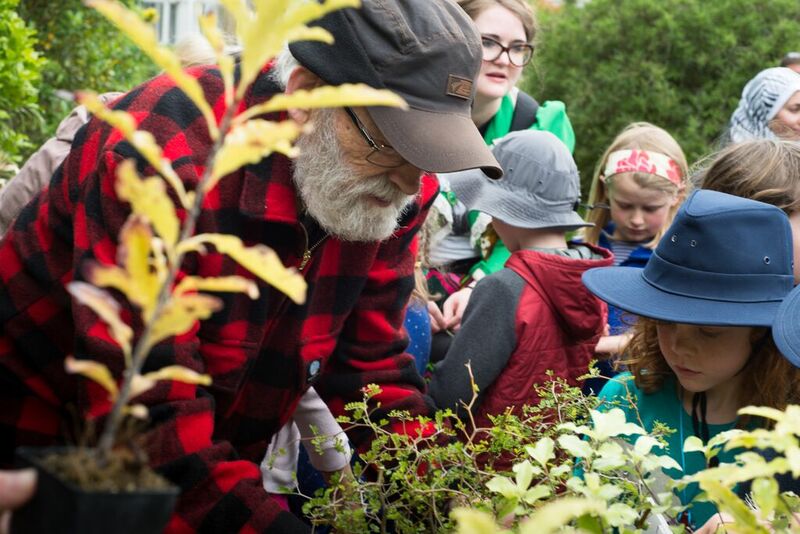 Join our challenge and create your dream or vision of what your neighbourhood or city might look like if it was WILD with nature. 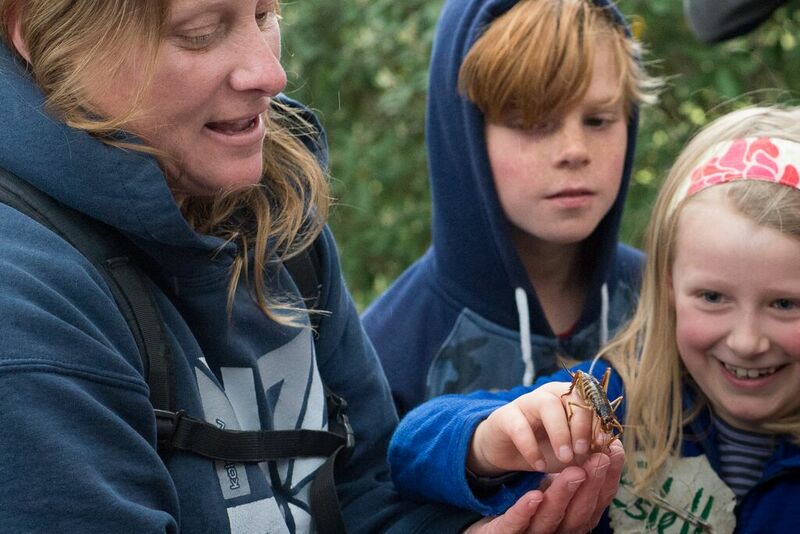 Write a story, make a short film, paint or make a sculpture or create a song – whatever makes you BUZZ! Email us a photo or publish your work and share it with us online. Great prizes to win. We’re also offering some opportunities to work alongside cool artists to help you make your vision. Plus your dream or vision could be chosen by the Imagine My City team to STAR in a city wide exhibition and showcase. 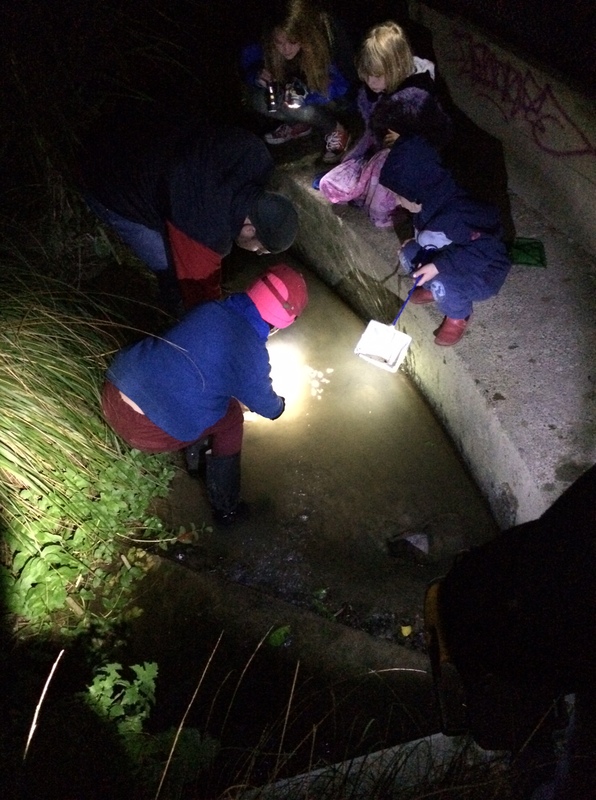 The 100 day challenge begins during Conservation Week (2-8 November) and runs through to mid February 2016. 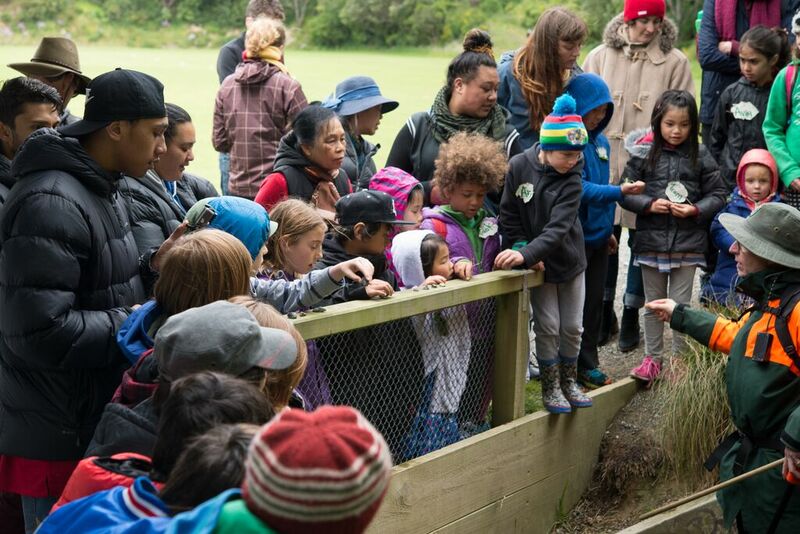 Thanks to project partners Mt Cook Mobilised, Te Atiawa/Taranaki Whanui, Binge Culture, Kemi Niko & Co, Wellington City Council, Wellington Zoo, Department of Conservation and other special characters in Mt Cook!